the anatomical directional terms and body planes. Like a compass identifying the directions on a map, anatomical planes help divide the body into sections to help identify location of certain structures and how they relate to others. 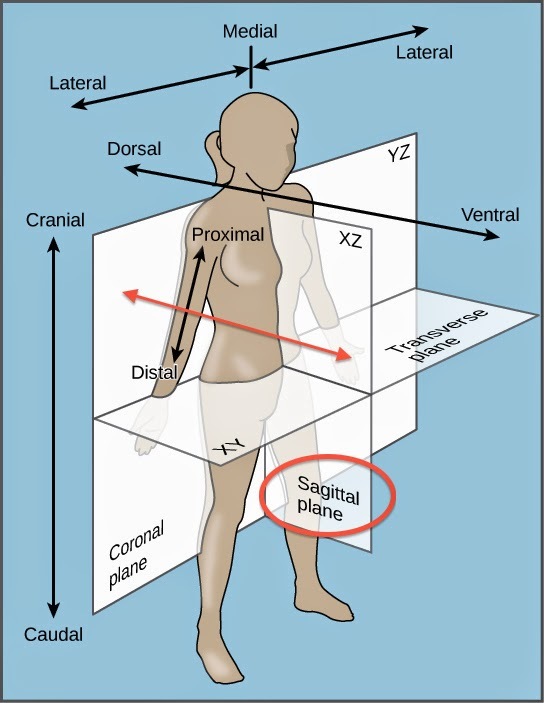 The Sagittal Plane is a vertical plane which passes from front (anterior) to the back (posterior) of the body dividing it into right and left halves. So what's the big deal about the sagittal plane? Well this is the plane we humans mostly move in. And hopefully fairly symetrically, i.e. not leaning to the left or right on the coronal plane, like someone with scoloisis or leg length difference might. But this is not the end-all-be-all way to move. 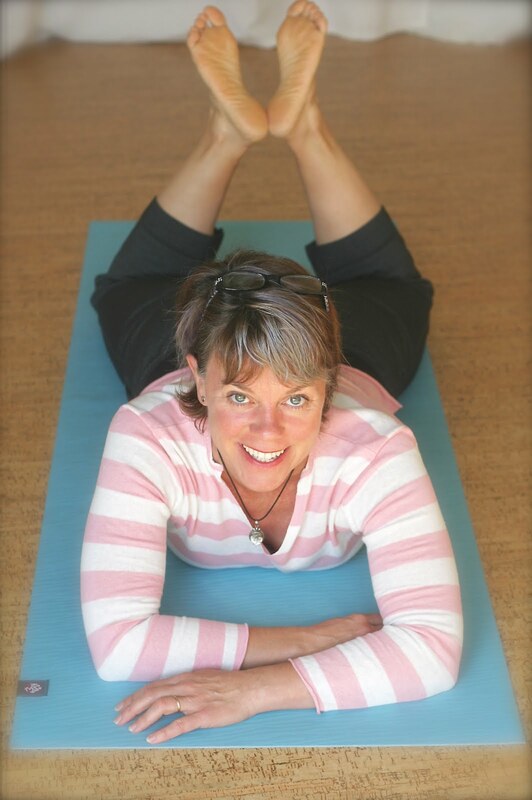 Our bodies can move in lots of different anatomical directions and in combinations of them. Just like the saying goes: Use it lose it! So that's why activities that bend us side to side or twist on the transverse plane are important and help us avoid injury. So there you have it. Your first fitness vocabulary word. Don't you feel smarter?! There will be a pop quiz later. Nah, I'm just kidding.